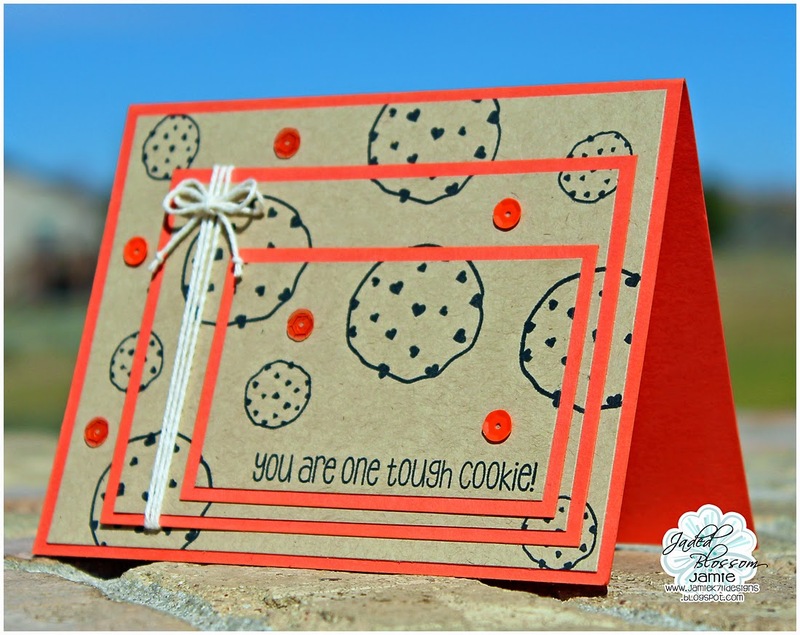 Jaded Blossom: You Are One Tough Cookie! 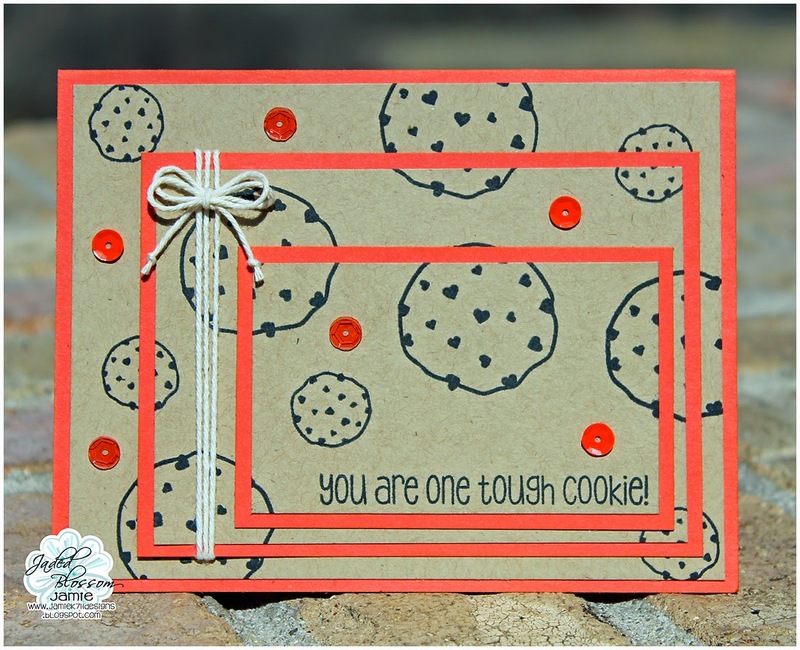 Jamie here to share a CAS card with you using the Spotlight Stamp of the Month! I used the triple stamp technique to create this card. I stamped the large and small cookies all over along with a sentiment from Milk & Cookies. Then I finished off the card with some sequins and a twine bow!